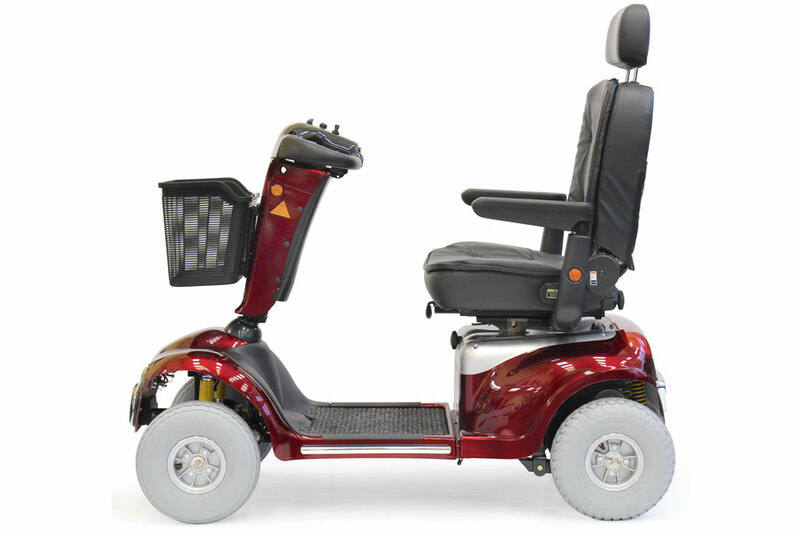 The TE889XLSN is the largest of the Shoprider models, its built to carry 225 kg and still provide comfort and reliability. 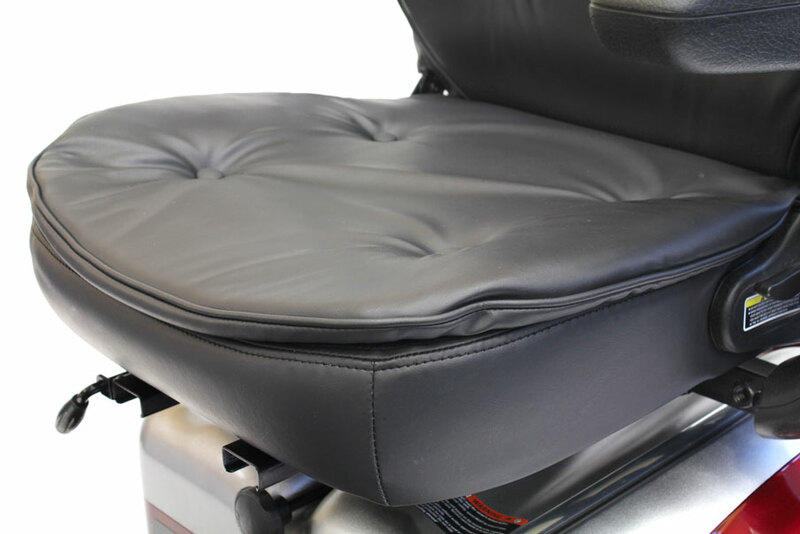 The black, reclining, leatherette pillow top deluxe captains seat adds to the luxury of this scooter. 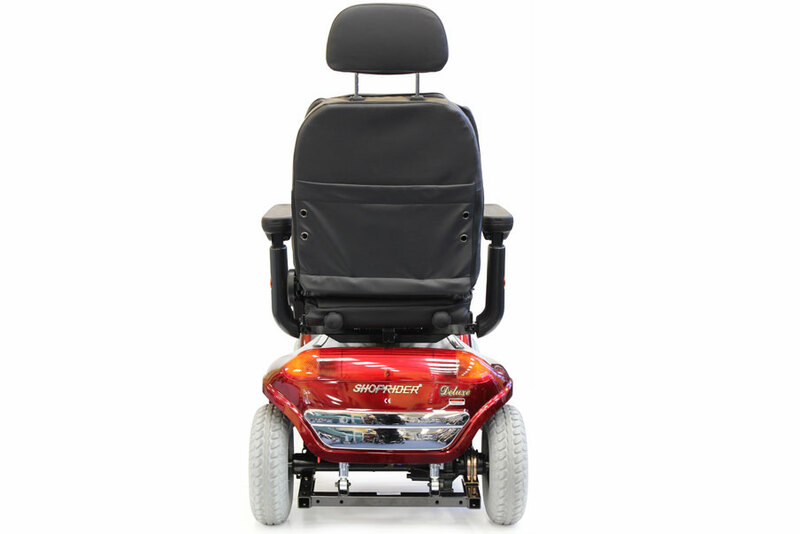 The independent 4 wheel suspension and large wheels offer a degree of comfort that is difficult to match. 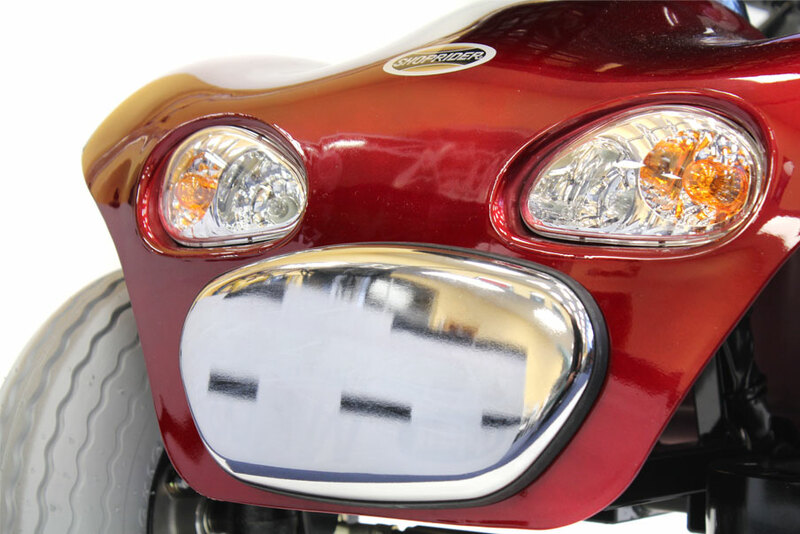 With a range of 36 kilometers any journey can be undertaken with confidence, however the range of the scooter can actually be extended to 54 kms with larger capacity batteries, contact your dealer for details. 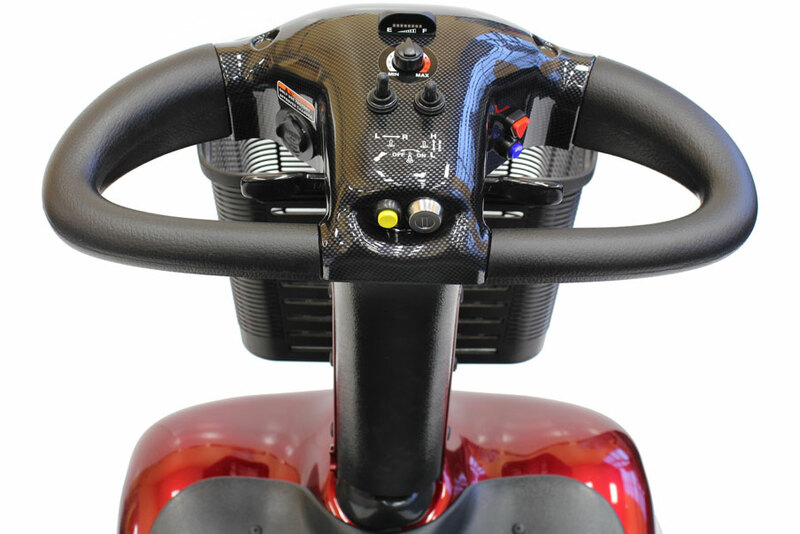 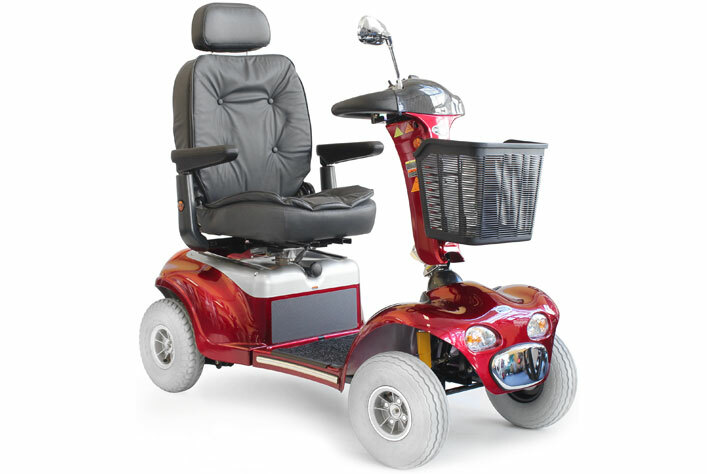 The speed, range and hill climbing ability all depend on the load (users weight), the terrain (flat or hilly, grass, sandy or hard) the battery size and condition and the ambient temperature.